Until a few years ago, I had no idea that there were an estimated 3,000 coyotes living in the Greater Vancouver area. The day I first heard that number, I was shocked. I immediately had so many questions. Where do they all live? How big are their packs? Why do people see them so rarely? I started obsessively researching. 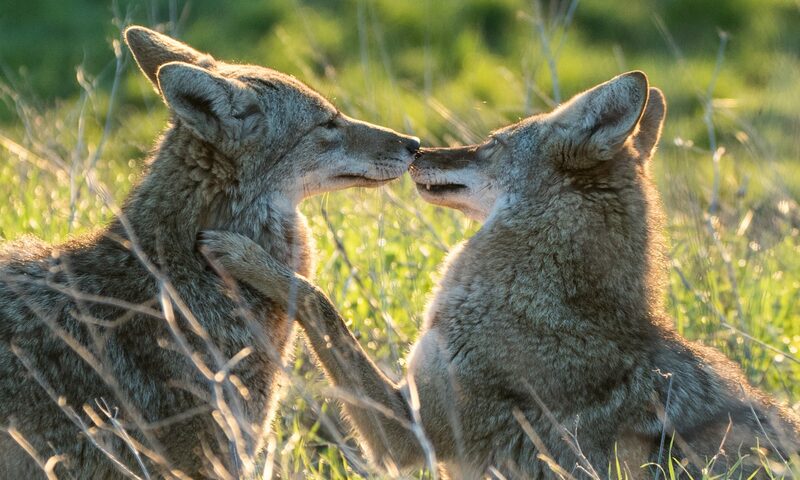 On my next trip to visit a friend in Calgary, I made contact with two professors at the university there who have done pioneering work with urban coyotes. I read almost a hundred scientific studies. I pored over coyote blogs. 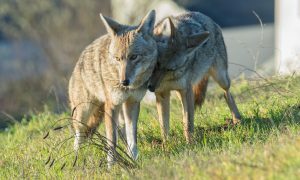 I began working for the local Vancouver coyote hotline, answering weekend calls and giving citizens information and advice on dealing with coyotes. All of this information helped me to write Street Shadows. While there is a healthy dose of fiction, most of the things that happen to Pica and Scruff are based in fact and observation. I carefully plotted the timeline to make sure that their actions and behaviours were consistent with pups of that age. In this section, I’ve pulled out some of the most interesting plot points and behaviours that came from this research, as well as pointing out great sites and books for further reading.